This Diwali has brought joyous news for all the Welingkarites as our dynamic Group Director Prof Dr Uday Salunkhe is nominated to the Senate of University of Mumbai by His Excellency Shri Shankarnarayanan, Governor of Maharashtra and Chancellor of Universities in the state. Prof Dr Uday Salunkhe a thought leader and a visionary institution builder with exemplary execution skills and a turnaround strategist is the driving force behind the transformation of Welingkar Institute into WeSchool, one of the leading management schools in the country. 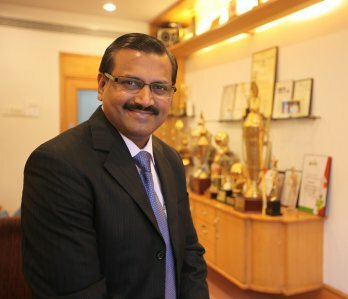 His passion to bring reforms in management education in India is evident in his constant study and research which manifest in the various innovative ideas and creative action plans that he designs not only for WeSchool but for all the Schools across the country through the different associations and organizations that he is a part of. His ‘Triple A’ concept will help WeSchool in training our students to be Global Citizen Managers in true sense of the term by instilling Leadership qualities , understanding of globalization ,critical and analytical thinking and a deeper knowledge of role of self in business and society. Prof Dr Uday Salunkhe has been striving to a bring in reforms in management programs both at the undergrad and postgraduate levels at the University of Mumbai as the Chairman its Ad Hoc Board of studies in Management .And now as a member of the Senate will take on the challenge to usher different kinds of changes that are needed in the University’s education system, that will benefit lakhs of students across Maharashtra and set them on their career paths. His strong conviction that the corporate leaders have to connect with educational institutes, take stock of the aspirations of GenY and need to create an attractive ecosystem by positioning their brands for creating a positive impact in the mindset of youth to attract them, create value for them in and outside the campus and also offer intangibles beyond monetary compensation will create new benchmarks in the existing education system. Found your blog from Yahoo, thank you for the informative read.